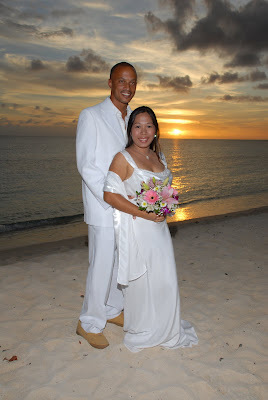 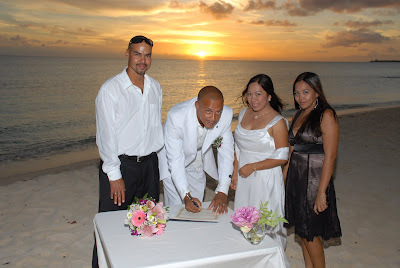 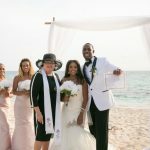 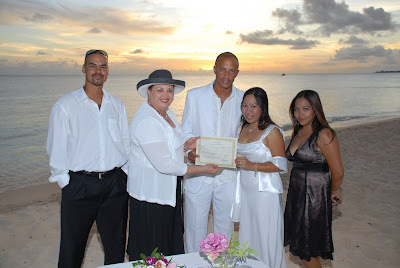 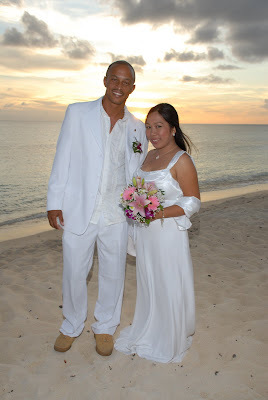 This couple came over from the Sister Island of Cayman Brac, and were staying at the Marriott Courtyard. 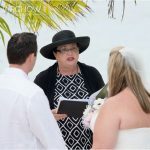 I was glad when they decided to get married at the beach opposite the hotel, because I recommend this hotel to a lot of clients. 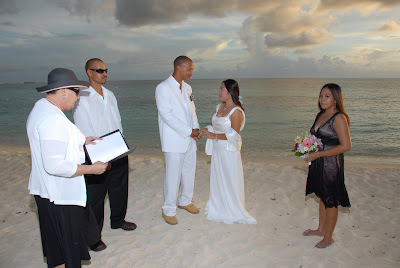 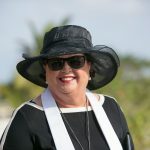 For one thing, I find the management and staff helpful and easy to work with. 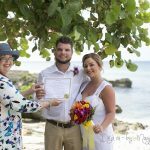 Getting married this close to the hotel where you are staying eliminates the need for taxis or rental cars, and if you're doing a sunset wedding the beach is likely to be deserted. 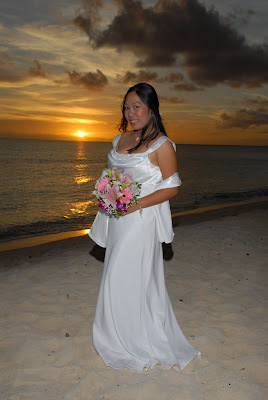 The bride and groom were simply, but elegantly attired...even in September it is still hot at 6 p.m.
A beautiful bride is complimented by a fantastic sunset.